Alexa is recognized worldwide for the accurate ranking of websites in a pool of millions of active websites. Alexa is California-based service and owned by Amazon Inc. Its advantages are much more. Not just for tracking where your website stand, Alexa helps you build confidence by putting yourself in direct competition with others. Most of the Marketing and Advertising agencies look for the Alexa Ranking for the business choice. It’s a benchmarking and an indicator for a healthy website. Alexa provides excellent commercial web traffic data, site ranking details and other analytics of the website. Originally Alexa takes a new domain for consideration, but it is always a good idea to submit your site/blog and claim ownership. There are controversies about their ranking accuracies but from past several years, Alexa has set an industry standard in Web Ranking services. For submitting a Blog you need Alexa account. 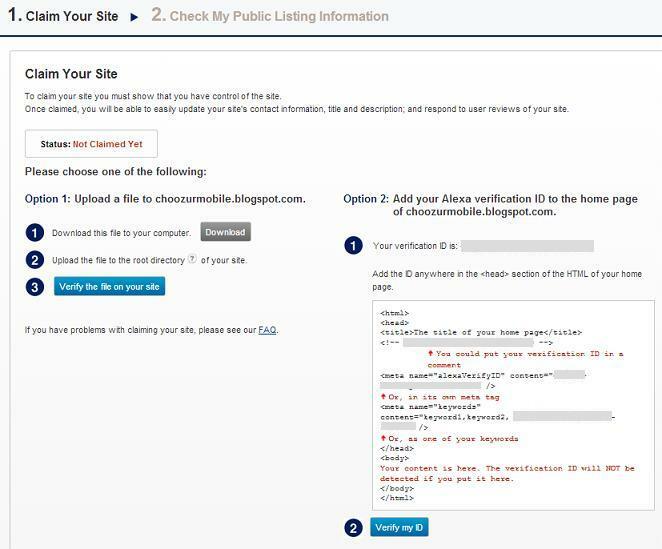 Later on, you will need to certify your Blog's ownership at Alexa. Submit your Email and Alexa will send you confirmation Link, Confirm the Account. Select Free Sign Up plan. Verify your site on Alexa using one of the two available methods. 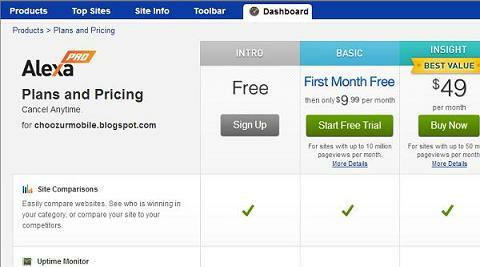 The suggested easiest method is to add a Meta Tag to your Blog or Website's template codes. You can also use the first method which requires some files download then uploading them to your site's root folder. 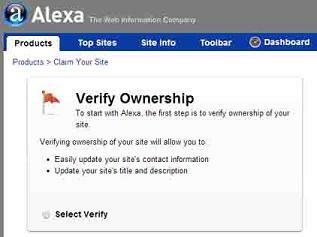 Using Alexa Verification ID and Meta Tag to Verify Your Site. Go to your Site's template and search for <head> tag. Add below code line just below head tag. Replace **************** with your site's Alexa verification ID. After adding a Meta Tag, go back to the Alexa website page and select "Verify Claim"
All Done. The message "Your site is successfully claimed" will appear if you properly follow Meta tag method. 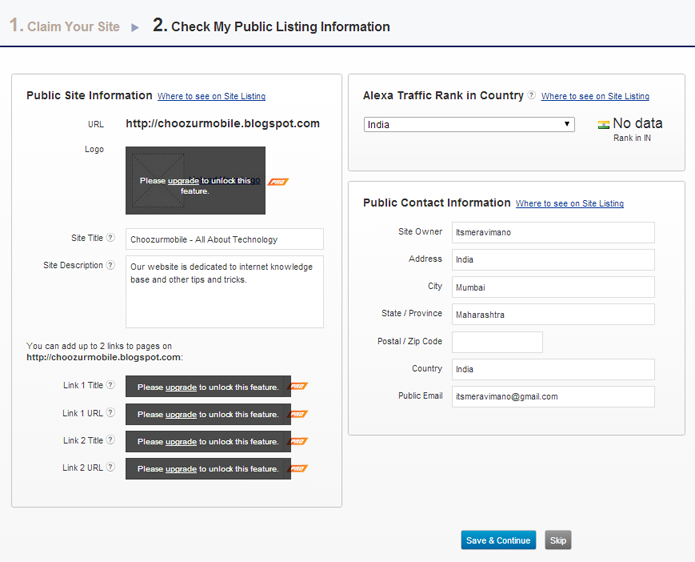 Click on continue button and fill in your Site's details such as URL, TITLE, description and other information.